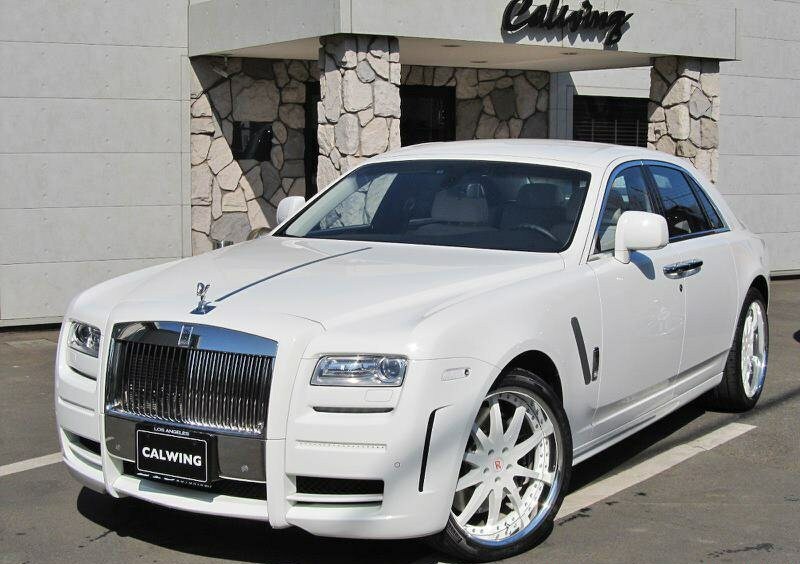 Calwing 213 Motoring is a luxury car dealer in Japan specialized in aftermarket kits: their latest project is based on a Rolls-Royce Ghost with a Mansory kit. The Mansory kit called White Ghost Limited comes in a new white livery and it includes a new front-end with LED lights and vertical air intakes on the sides, new side skirts, new rear view mirrors, rear spoiler and rear bumper with diffuser. 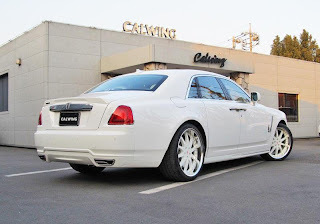 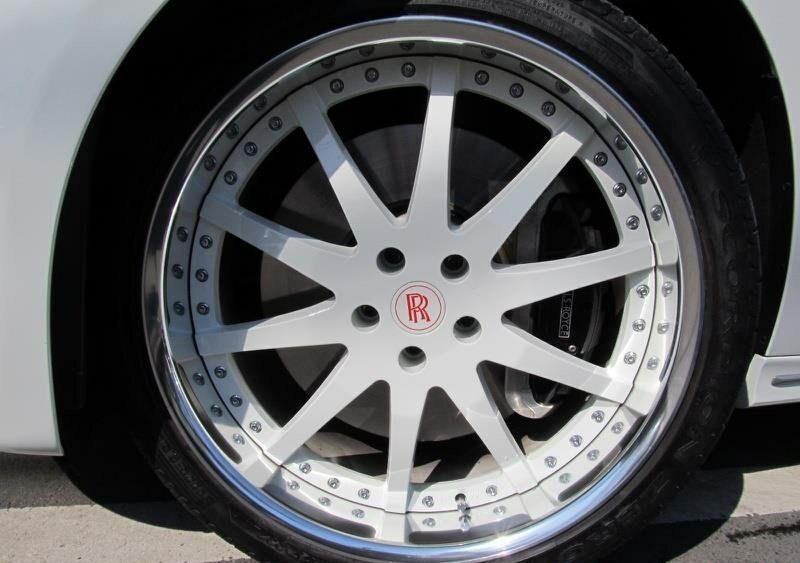 Calwing 213 Motoring has fitted the Rolls-Royce with 22-inch Hyper wheels. 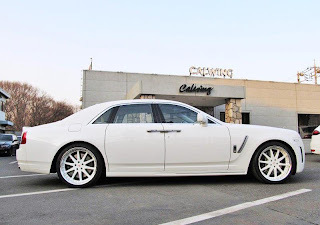 If the car is equipped with the Mansory performance package, the engine delivers 638 hp instead of the original 570 hp, while torque rises from 780 Nm to 860 Nm. 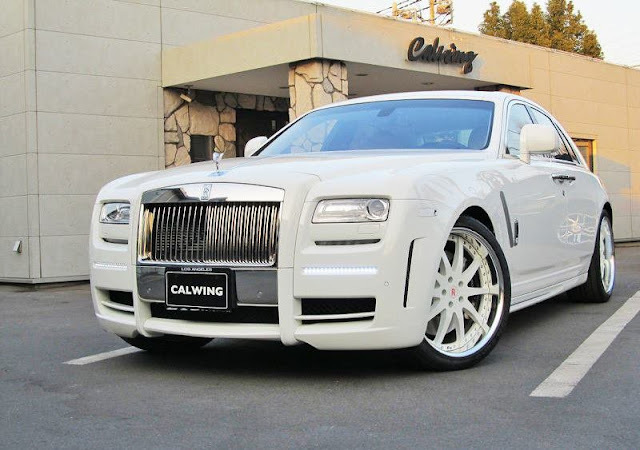 Calwing 213 Motoring è un rivenditore di auto di lusso in Giappone specializzata in kit aftermarket: il loro ultimo progetto è basato su una Rolls-Royce Ghost dotata di un kit Mansory. Il kit di Mansory chiamato White Ghost Limited è disponibile in una nuova livrea bianca e comprende un nuovo frontale con luci a LED e prese d'aria verticali sui lati, nuove minigonne laterali, nuovi specchietti retrovisori, spoiler posteriore e paraurti posteriore con diffusore. Calwing 213 Motoring ha montato cerchi Hyper da 22 pollici. Se l'auto monta il pacchetto prestazioni di Mansory, il motore eroga 638 cv invece che i 570 cv originali, mentre la coppia sale da 780 Nm a 860 Nm.